I have never liked Shakespeare. Granted, my only exposure to his work was forced reading in high school, and I’m most likely unable to appreciate the style of writing of the time, but the fact still stands. So when an anime with links to The Tempest was recommended to me I was a little apprehensive. Thankfully, Zetsuen no Tempest was a thoroughly enjoyable experience that I don’t hesitate to recommend, even if those advertised links to old Will are as forced and tired as I thought they’d be. 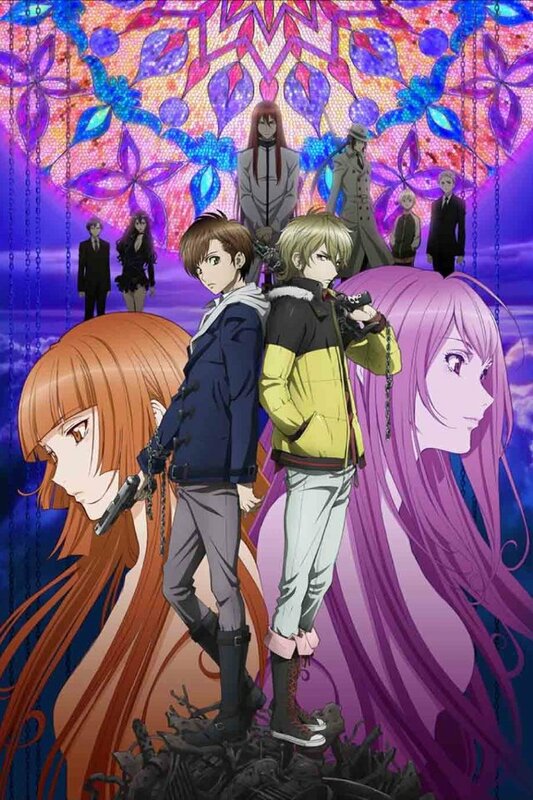 With fresh concepts, intriguing characters and beautiful animation, Zetsuen no Tempest was nearly held back from the ranks of The Geek Clinic’s Highly Recommended List by a deficit in pacing and lack of focus in its second half. Given the quality and uniqueness of the experience as a whole, however, I don’t think this is a series that should be passed up. Tragedy. Revenge. Love. Aika Fuwa. In the face of the greatest threat the world has ever known, retribution trumps all. When Mahiro Fuwa comes into contact with someone calling herself the princess of a clan of mages stranded on a desert island, he agrees to help her in exchange for one piece of information: the identity of his sister’s killer. The Kusaribe clan worships a being known as the Tree of Genesis, the creator of all life and opposition to the destructive Tree of Exodus. By offering sacrifices of modern technology the clan gains the ability to use the tree’s power. Hakaze Kusaribe, the princess, had been betrayed by her people, and Mahiro is the only person able to act on her will. Unfortunately, Hakaze’s greatest hope couldn’t care less about the fate of the world, so long as he gets his revenge. You may not realize it, but I haven’t even mentioned the protagonist in that summary and that leads on to one of the things that makes Zetsuen no Tempest so gripping. It has two, arguably three very strong personalities at its centre that keep events from getting stale. There’s a series of three episodes part-way through that consist solely of discussion and I loved every minute of it which is incredibly impressive. The characters, along with the story itself, are very compelling for the show’s first half. Suspension of disbelief is a major component of what makes the series so entertaining, with the setting, art style and character motivations making for a believable tale despite its fantastical components. All-in-all, the production is initially a masterpiece and I simply couldn’t wait to see more of it. My one complaint for this segment is that, while some of the references to Shakespeare’s work were well placed, many of them were forced and the quotes especially didn’t really work in their context. You could remove every single reference and the quality of the show would remain unchanged, or even improve. When we come to the second set of episodes, however, Zetsuen no Tempest starts to flounder and falls back on anime staples. After a focused, well-paced beginning, our strong heroine character falls in love and romance comedy rears its ugly head. I wouldn’t normally have a problem with that but in this case it’s such a departure from what both the anime and character were that it’s a major let-down. Serious plot progression reverts to generic (albeit still entertaining) comedy, meaning the show loses a great deal of the momentum it had built up previously. That’s not to say it plummets to the realm of mediocrity, so much as it forfeits the shining light it had been building up. Despite all of that I still enjoyed the second half, so you should know that the disappointment isn’t enough to ruin the experience. Zetsuen no Tempest’s visual design is one of its greatest strengths. The realistically-colored backgrounds and characters contrast with dazzling magical effects to create some remarkable scenes. Even when magic is taking a back seat, animation is fluid and pleasant to watch, and the character designs themselves have a lot of presence. In addition to those comments, I actually have some non-generic thoughts about both the BGM and voice acting, which regular readers will know practically never happens. The score used is one Shakespeare-inspired choice that I can really get behind. Each track sounds like it would be more comfortable on a stage than in an animated series, lending Zetsuen no Tempest a grand feeling that is rarely realized in anime. Each piece is orchestrated and time beautifully and is a fantastic asset. Bones really outdid themselves in that respect. As for the voice acting, I have to tip my hat to Toshiyuki Toyonaga for his amazing performance as Mahiro, who has some of the best-sounding lines I’ve ever heard. The other actors are also pretty darned good in general. 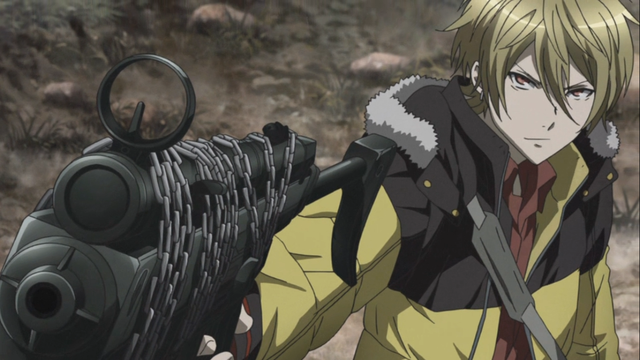 Summary – While it may not be perfect, you won’t see many anime as enjoyable or as well made as Zetsuen no Tempest. The second half represents a devastating lack of realized potential but remains interesting enough to carry the show to a satisfying conclusion. The realistic setting and characters mesh with magic and an out of this world story to form an experience that is just about impossible to not enjoy. If you’re after entertainment, then look no further. 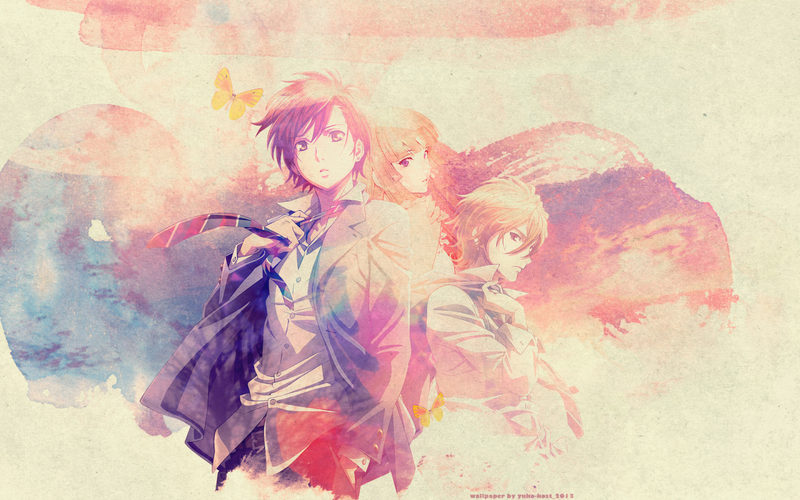 This entry was posted in Anime Reviews, Reviews and tagged Anime, bones, Review, zetsuen no tempest. Bookmark the permalink. THAT’S A HELL OF A SCORE! Looks like another anime added to my PTW list. If this goes on, it’ll probably never end. 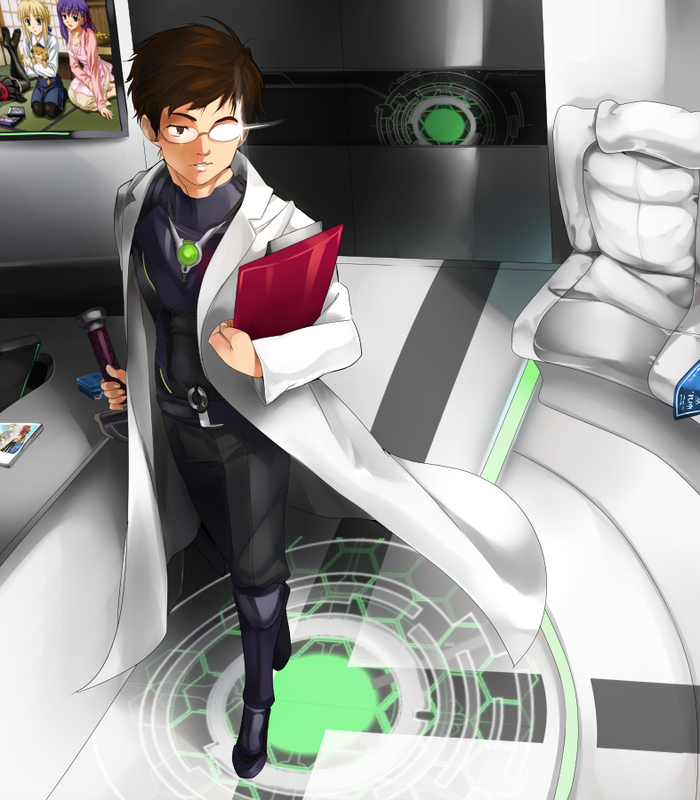 The quality and fluid animation doesn’t surprise me though, as BONES has pretty high and consistent production values. Example – FMA B, Noragami, Kekkai Sensen, etc. The first season is pretty fantastic in a whole bunch of ways, and from the conversations i’ve had there are a fair few people that see the second season as “different” rather than “worse” like I did, which is good news for prospective viewers. 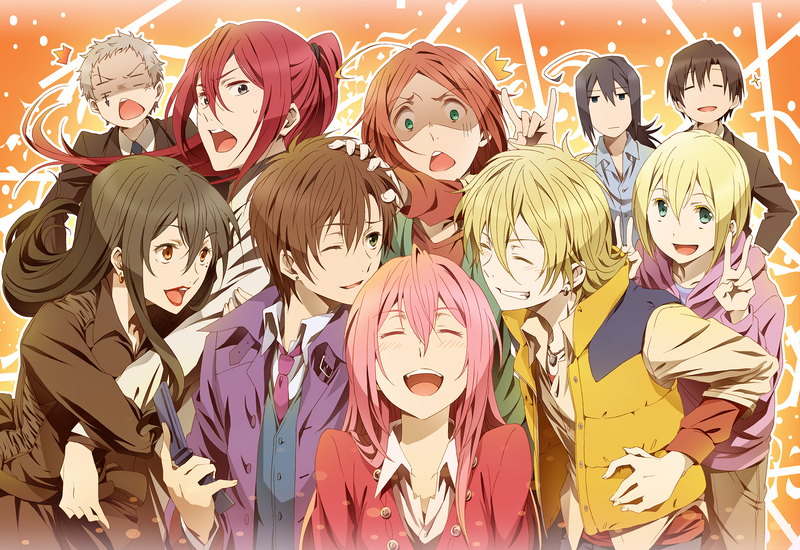 It’s funny you should mention Noragami, since that’s what i’m watching right now! Watched it when it first came out, don’t remember it much but there are a few lists that claim its underrated. I guess i’ll find out on my next watch, hurry up DUB! The ratings i’ve seen for it around the net are pretty decent but you certainly don’t see many people talking about it. So I guess it’s…underrepresented? I can accept everything on the list except for Deadman. That’s one steaming pile of baloney. If you didn’t like Deadman, don’t watch Btoooom; they’re pretty similar. Great OP, mediocre ED, and baloney content. Though to be completely honest I enjoyed it a bit more than Wonderland, probably because of its cleaner animation.